On Tuesday, Sept. 4th, 2018 the Arizona Cardinals announced a brand-new name for their stadium. 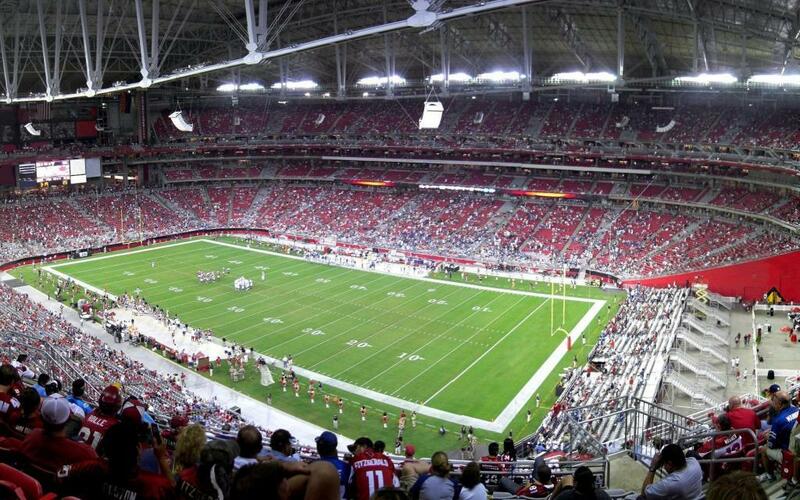 The stadium will go from being called “University of Phoenix Stadium” to “State Farm Stadium” this NFL Season. The deal is for an 18-year deal agreement reached with the Arizona Cardinals and State Farm. Since 2006, when the Football team relocated to Glendale with a new stadium the Cardinals paired up with University of Phoenix to allow the name of the stadium under the partnership. The stadium has since been home to the Cardinals, plus college football’s Fiesta Bowl and multiple Super Bowls since the opening. Now that the partnership has switched from University of Phoenix to State Farm, the Cardinals will be spending less for upgrades. Before the name switch, the Cardinals, Arizona Sports and Tourism Authority, and the city of Glendale will have spent more than $100 million in upgrades in and around the stadium. Of course, the new financials of the new deal for the Arizona Cardinals are confidential on what they will receive, Michael Bidwill said in a statement at the press conference on Tuesday. Under the sponsorship agreement with University of Phoenix, the team received annual payments of about $7.7 million. Bidwill would not say whether the team is making more or less under the new deal with State Farm. The stadium was mostly paid previously through a Maricopa County voter-approved tax on tourists. The Cardinals also contributed funding and were granted the profits from the naming rights under the original contract with University of Phoenix. 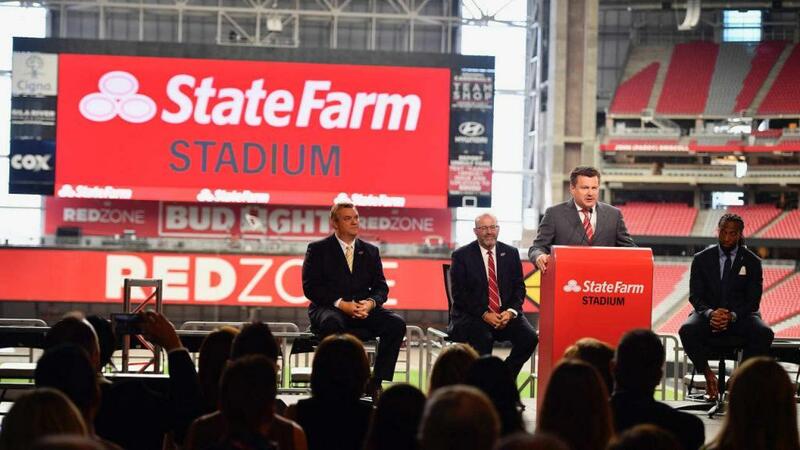 Michael Bidwill had the following to say about the new partnership with State Farm; “a focus on community, a focus on doing what’s right and a focus on trying to really benefit the community with what we have,” Bidwill said. State Farm is known as one of the nation’s largest auto and home insurance. The insurance company has housed in Arizona for decades. The company oversees 83 million policies and accounts nationally and 640,000 policies in just Arizona alone. State Farm currently has more than 7,000 employees in the state of Arizona. Arizona is one of State Farm’s largest employment centers in the country.